Because while the rest of the country basks in PM Modi's Digital India dreams, the Valley is in darkness. On the other side of the Valley, the rest of India basks in Prime Minister Narendra Modi's Digital India dreams, but a darkness grips Kashmir. According to a non-binding resolution passed by the United Nations Human Rights Council in June, 2016, access to internet is a basic human right. But the violation of human rights is not new when Kashmir is in question. A circular issued by the government of Jammu and Kashmir on April 26, 2017 suspended 22 social media networks and instant messaging sites, including Facebook, Twitter and WhatsApp, as a part of an “e-curfew”. And all this to put an end to anti-national activities in the Valley. Other atrocities aside, the clampdown on internet services in the Valley is hardly uncommon. In fact, India saw the highest number of Internet shutdowns in 2016. According to a UN Human Rights report, there have been an estimated 31 reported cases of social media and internet bans since 2012 in Jammu and Kashmir. While Kashmiris in the Valley no longer have Facebook; they do have KashBook. 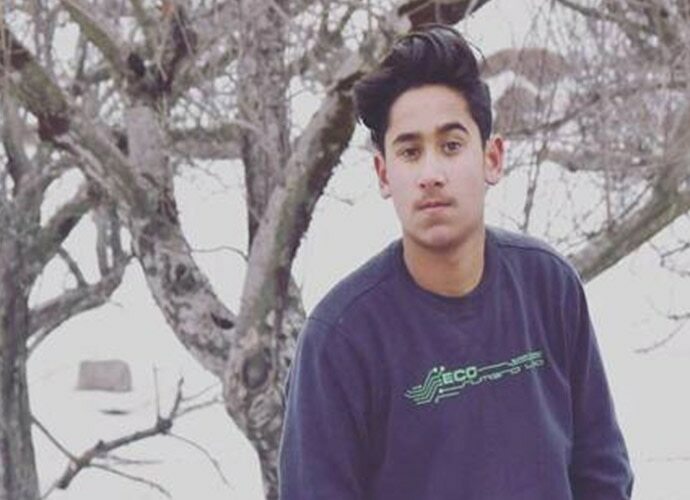 The brainchild of 16-year-old Zeyan Shafiq of Anantnag, this social media website, built on the Facebook model, has now become the social media network for Kashmiris. The website is not a new one. In fact, it has been operational since 2013, when it was built by Shafiq (the 13) and his 17-year-old friend Uzair Jan.
“KashBook didn't take off initially because in 2013 it was of no use... Some days back, we got an email that surprised us because people were still using the old KashBook website. When we saw then that people need access to social media, I along with Uzair restarted the work and the result is here!" Shafiq told Catch News in an interview. The website even has an Android app and an iOS app is under works. 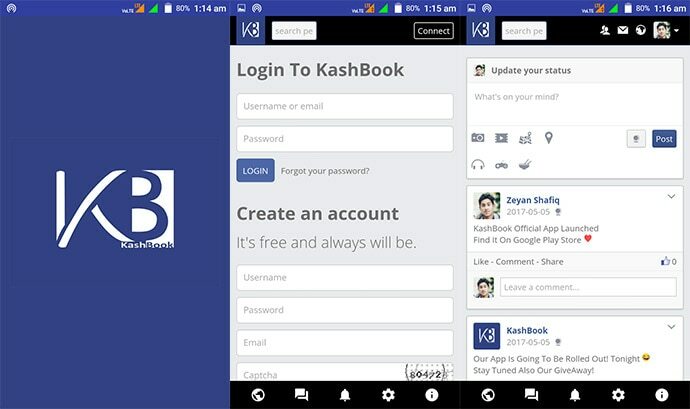 KashBook now boasts more than 1,500 users and is well on its way to outdo Facebook in the Valley, owing to the clampdown. A special feature the site offers is the fact that it can be used without accessing a Virtual Private Network (VPN). Additionally, the creators have worked hard to make sure that the site is always accessible. Every time a server gets blacklisted, they offer a new one, allowing KashBook to remain accessible. One of the most important services that KashBook provides is a market. It is basically a forum where people can boost their business and sell their goods. In 2015-2016, internet shutdowns cost India Rs 6,485 crore in lost business opportunities. According to a study of 19 countries by Brookings Institution, a US-based think-tank, the maximum loss was incurred by India ($968 million), followed by Saudi Arabia ($465 million) and Morocco ($320 million). According to a PWC report (commissioned by Facebook), India’s GDP would rise by Rs 67 lakh crore by 2020, if 100 per cent Indians had access to the internet. While these two youngsters in Kashmir try and maintain the sanctity of a “basic human right” in their state, the Centre seems determined to tackle insurgency in the Valley only through gag orders. The UN high commissioner for human rights said that such a clampdown is a “collective punishment” that didn’t meet international standards for limiting free speech. On the one hand, we have the Centre pushing, almost shoving the nation towards a digital revolution – one which the population is ill-equipped to handle at present. The demonetisation drive, which became the face of Digital India after it became apparent that black money would not be solved by banning currency notes, was universally criticised as a draconian move that caused nothing but hardship to the people who belonged to the cattle class. On the other hand, we have the government’s incessant attacks on the internet in the Kashmir Valley. In both cases, one can witness a failure of policy and the consequent hardship that the general population is subjected to. At the moment, it is up to these two boys to help Kashmiris in the state stay connected. But one also worries if the next gag-order will feature KashBook as well.